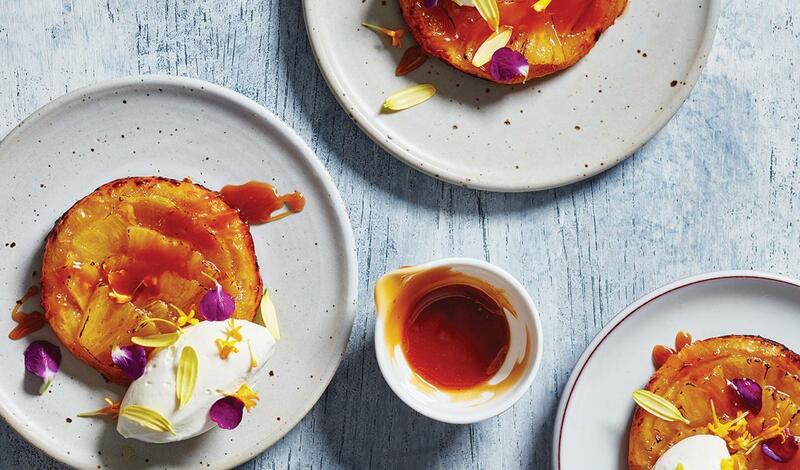 This recipe is a twist on the classic tarte tatin using caramelized pineapple tartes with a salted egg custard sauce. It’s a masterful balance of sweet and savory with delicious flourishes of spices. Separate the eggs – save the whites for other purposes. Put the yolks back in the shells. Caramelize the sugar in a saucepan. When the sugar starts browning and bubbling, add the juice of a lemon, the butter and the ginger.